Looky here! It's a brand new dragon onesie and it's seriously hot. This is our fifth (that's right, fifth!) 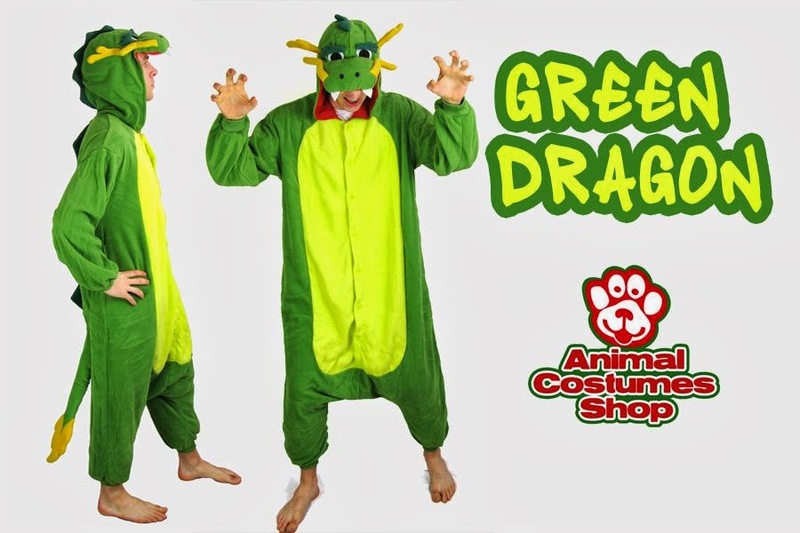 dragon kigurumi, but the first one to be made by Sazac - the original animal kigurumi brand from Japan. It's made of a soft polyester fleece fabric and features include a red lining in the hood, a snarly dragon face and a flame-tipped tail.